Spectacular north of 4th, 3 bedroom, 2 level, 1/2 duplex. Craftsman style home boasts high vaulted ceilings and 9' ceilings, crown mouldings, radiant floor heating, great floor plan/use of space with 3 bedrooms up, detached garage and ample storage crawl space. Oversized front and back yards. 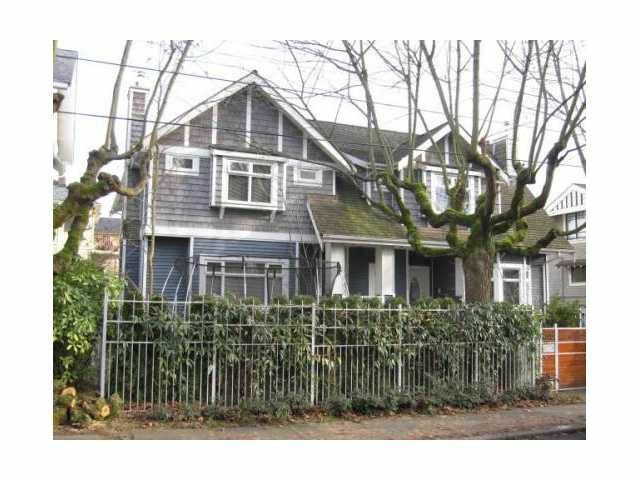 Excellent Kits/Pt Grey neighbourhood with great schools, shopping and entertainment nearby. Just a short walk to parks, beaches, tennis and yacht clubs. All measurements approximate and to be verified by Buyer. Open House: Sun, April 15th, 2-4 PM. Agent's Open: Tues, April 17th, 10:30 AM-12 PM.